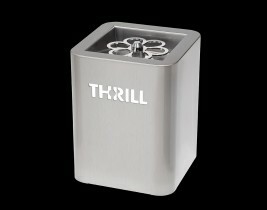 Thrill is a brilliant machine that sanitizes glassware in seconds and keeps drinks cooler longer, neither watering down nor altering the flavor and aroma of beverages. 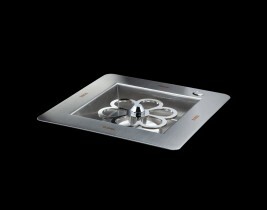 A glass that has been properly cleaned and sanitized enhances the overall taste experience. With Thrill, it takes just a few seconds to thoroughly sanitize and chill the glass, leaving the product completely free of any unpleasant odors or aftertaste. 7 7/8" x 10 1/8"